My son is now taller than me. Do not let on that I am aware of this fact. My son is now almost free of me. Do not let on that I am aware of this fact. My son is wildly funny, and lanky and sharp. My son is handsome and proud and kind. My son is growing up and moving in ways I can not begin to recount or assimilate. My son is a good man. My son is on his way. Not of him; but of the boy that was not man just a year ago. He was stating his solid case for why being strong willed was a Good Thing. Jesus WAS a very Refusing Guy. I hope that as my son begins his departure he holds to his Will and to his Heart. My son Goes His Own Way. I will watch as he wanders his path. stored in his heart, he can use, now. only a heavy wedge remains. can do for him, it is doing right now. that’s been done to him, he will now do. unpacked and lined up on a bunk in the underpine light. ~ by Step On a Crack on May 20, 2012. Beautiful tribute to your son. My son reminds me everyday that I am now the families shorty. Only the dog and the gerbil are smaller than me!! Thank you so much for your brilliant idea: I am going out to grab a gerbil; a really tiny one! It is so odd isn’t it; the growing up? I am tall for a woman too. Yikes. you just sound so at peace in your writing right now! Thank you for saying so! I am posting less often now; waiting for only the peaceful moments. I will head on back to the story at hand soon enough: with the Kid going through such a transition it seems fitting to focus on the Peace that can be found. Your gravatar just makes me smile by the way! take your time on getting back to your story, your knower will know when it is ready! i’m glad my gravatar made you smile! i hope you are doing okay with his transition! beautiful, peaceful post, Jen. My son is now a man with children of his own. and he wants to take care of his mother. what a strange circumstance. it is like we are slowly changing roles. Oh my! What a Joy to have a young man that wants to care for you! Good Job Mom! I can begin to see the glimmer of that change. It is so odd: my son growing up, my mother, now gone but recently under my care. Weird how the tables turn isn’t it? Oh Caddo! When the Kid was little he LOVED Jesus so much we decided that if it ‘kept up’ we were gonna become episcopal: a Catholic Priest = no grandchildren. He was devastated when he really grasped why Jesus died. Get this, he said while in tears, “People always destroy what they are afraid of.” holy. moley. He came packed full of amazing stuff. He had dreams about Jesus and would wake up saying the darndest stuff. I have all of it written down. I wish you were next door! I have the fixings for one mean salad and some angel food cake. You have a great Week Too my Friend! Mother’s and their sons….it just can’t be explained, the special connection that’s there. Beautiful, dear Jen. Its all Gods work right? I often wonder if I had had a girl if it would feel the same. I just can not imagine loving anything more. So much so that I feel certain I would choose my son over my God. Now, thank God that is not a choice we ever need to make. Letting Go is key. Letting Go and Letting God there it is: the program at work again. Oh YOU! Hello there! Thank you. It is easy to write about our kids isn’t it? I know the road ahead is going to be bumpy and so it goes. I am just relishing all the good times we have had. I am a “mean mom” kind of strict in many ways and I can see it paying off. EXQUISITE my love!!! I’m so proud: A Man Who Walks His Own Way … why, me oh my, that sounds like a Strong Willed and Strong, True-hearted Woman i know and love!!!! I have the feeling your young man will be wanting a “measuring” soon … just to show mom he knows he’s growing up a little bit. Flow … an excellent place to be in, and in, and in as it goes and goes. Beautiful. I love the poem … PB sandwich and grapes … packed with the knowledge he’ll need and the energy he’ll get from a SURE-FOOTED foundation. I miss you already my friend. I guess you’ll have to go to the Cryder family reunion in late July … no one will know you’re not a member of the family! We’ll be the only sober ones there! Lake Tahoe? Anyhow … we can get tats next? LA, then travel somewhere less offensive like Las Vegas!!! 🙂 Just Mel being Mel! xoxoxox big love! hey there sweet tall for a woman lady! this is a beautiful post, it is no wonder that your son is a marvel, with you as his mom! ahh transitions. “ch-ch-ch-changes!” and thank you so much for the poem by Knopf. Your son is lucky to have you for a mother. What a sweet gesture on your part. As a parent of three young adults – your post about your son resonates. Yes, we have to let go in some ways but receive in so many other ways – your son is fortunate to have you as his Mom, any lad would be. You are a strong one Jen – and have my admiration. Your son will develop to be a fine man, an asset to society and an example to his peers – for he sprouts from rich soil. wow Jen – that’s quite a kid you have! Well, then, that’s the thing isn’t it? 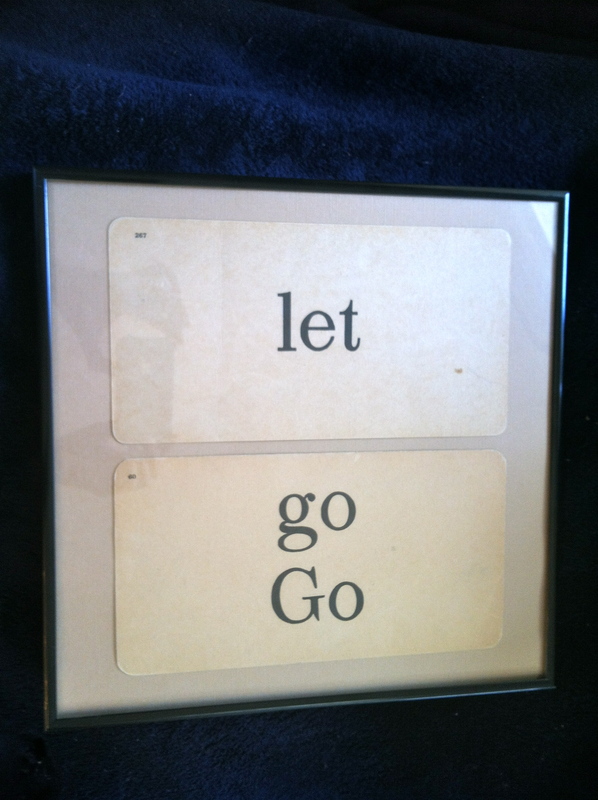 Knowing what to let go of and what to hang on tight to. If anyone can get that one, it’s you. I do know the dance of roles that revolve and evolve. Feel free to delete this comment after you read it. I’m posting a video (which I’ve never done on anyone’s blog) of a Suzy Boggess song that came out when my daughter was just 12. I was still playing it (in my head) when Jennielee left for college and then again, two years later when Dan joined her.